Hi everyone and apologies to Stevie Wonder for changing the lyrics! Phoebe is gorgeous!! She's so dinky and although she weighed 1oz more than Charlie she is so petite with a cute little head and lovely dark hair. 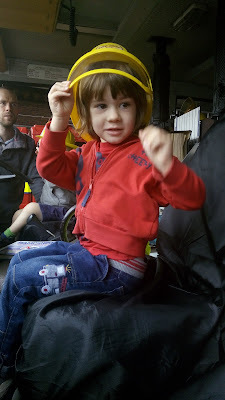 Yesterday we took Charlie to an open day at Southsea Fire station which was a big hit! Lots of engines to sit in as well as police cars and ambulances. Firemen absailing up and down the tower rescuing people, great fun. 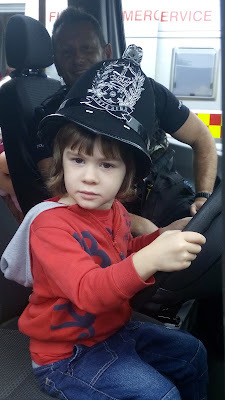 Very serious being a policeman!! Cheesy grins at lunch, it's catching! Lovely day here today but I had to have the heating on when we got back last night! Definitely autumnal. Congratulations, Val! She is indeed gorgeous! Looks like you have had a fun packed weekend. Bless him, Charlie looks in his element...future policeman do you think? 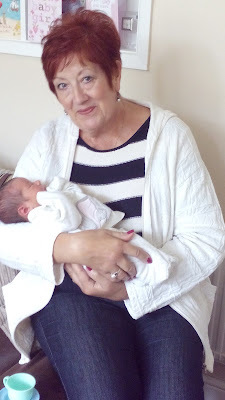 Great photos Val - she looks lovely. You've all obviously had a fantastic weekend with the weather and the trip to Southsea Fire Station - can imagine Charlie was in his element! Love the card you made for Phoebe......really pretty. What beautiful pictures and a wonderful card you made too! Congratulations Valerie! 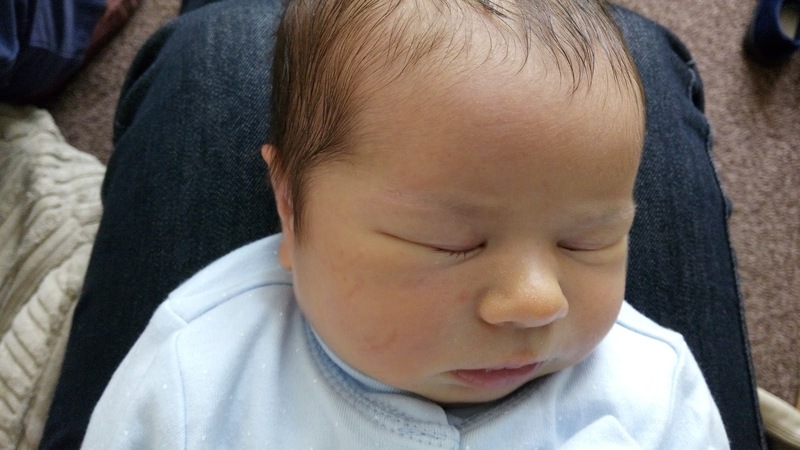 What a lovely baby! Your card is very beautiful!! She looks adorable Valerie, she has a lovely name. A beautiful card and lovely family photos. 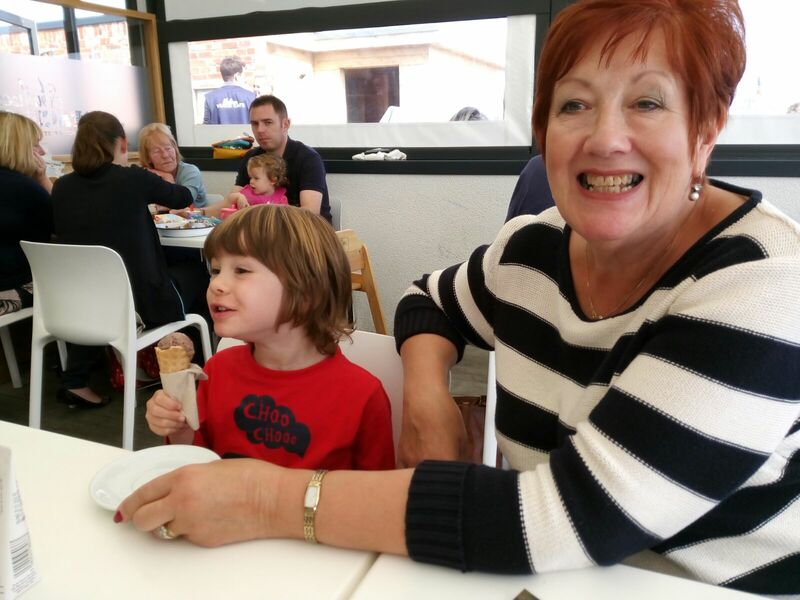 what a lovely photo of you and phoebe, val!! she is so sweet! love the photos of Charlie, too!! What a sweetie she is. 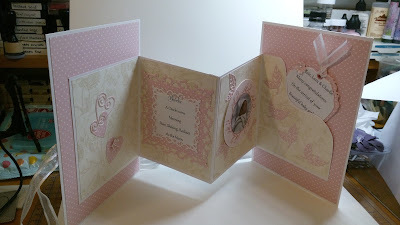 Lovely card you made for her arrival, love this different fold and use of lovely pinks.